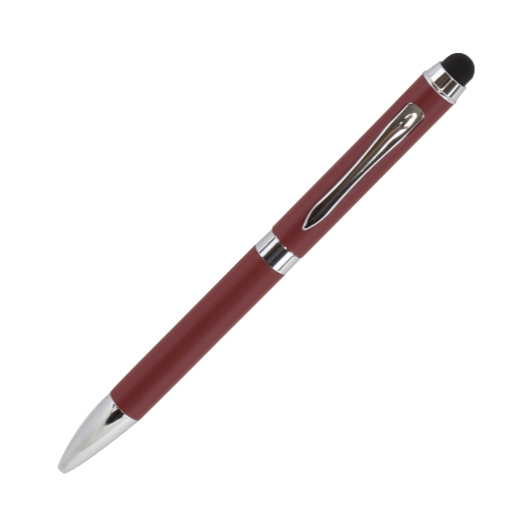 A colourful stylus pen with a modern look and high quality ink. 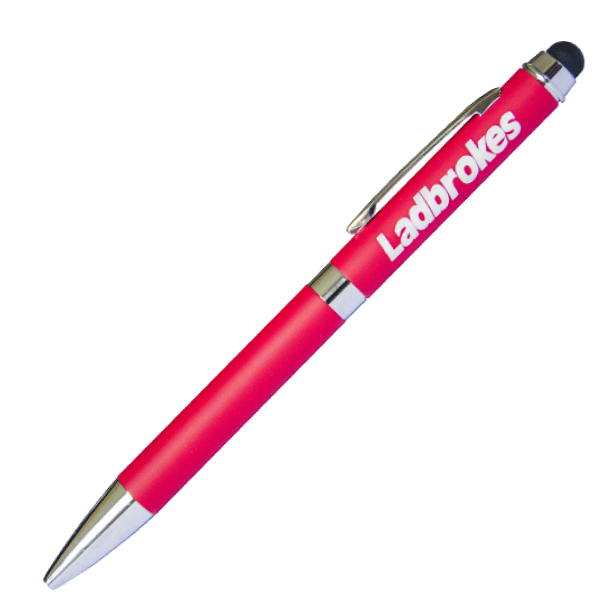 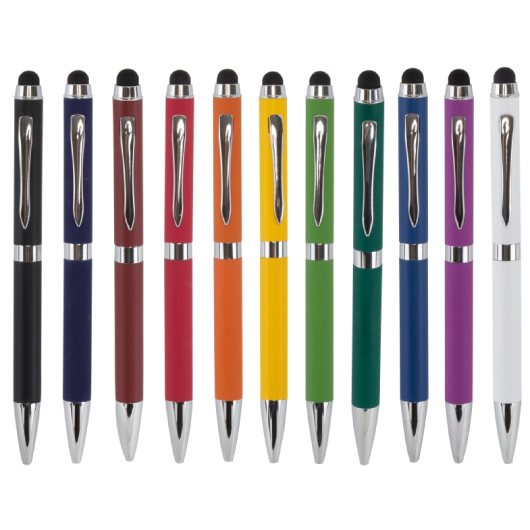 With so many colours available to choose from these rubberised stylus pens make for an amazing promo pen. They feature a twist action build with a black stylus and matt colours as well as shiny chrome trim. Contains 1800m of black Dokumental writing ink and a tungsten carbide nib.